This post is the fourteenth in a multi part series on swamp cooler repair, maintenance, and replacement options, like refrigerated air conditioning. If you haven’t read parts 1 – 13, I recommend you do before continuing. Refrigerant enters the expansion valve as a high pressure liquid. The expansions valve restricts and limits the flow of the refrigerant, dropping its pressure as it enters the “low side” of the loop. The refrigerant enters the evaporator as a low pressure liquid. The evaporator itself looks very similar to the condenser. 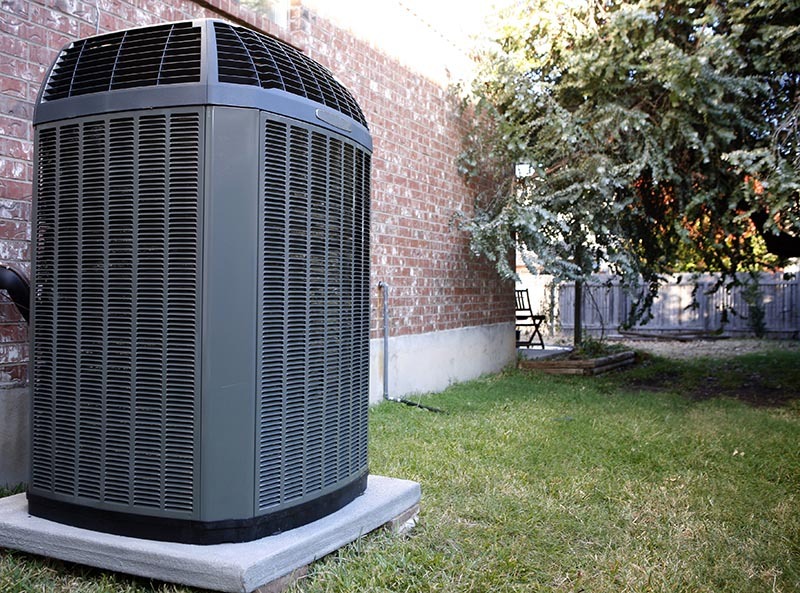 In fact, in heat pump systems, they’re often identical, or close to it. However, depending on design and space constraints, the evaporator may look a little different than the condenser because it needs to be tightly packed. As the low pressure liquid refrigerant passes through the evaporator, it transitions to a gaseous state, absorbing heat from the inside air as it does so. This is how refrigerated AC systems remove heat from interior spaces. The refrigerant leaves the evaporator as a low pressure gas, where it is fed back into the compressor, and the whole cycle starts over again. This self contained nature is critical to the functioning of the refrigeration cycle. It’s also why, after a while, refrigerated air conditioning systems need to be “recharged”. No system is perfectly sealed, and over time the refrigerant leaks out. The closed loop needs to be recharged for the cooler to get its cooling power back. Immune to humidity – Since refrigerated air conditioning systems use refrigerant and pressure to do their work rather than evaporation, it doesn’t matter how dry or moist it is outside. This isn’t important all that often when you’re somewhere as dry as New Mexico, but there are definitely still numerous days out of the year when a refrigerated air conditioning system will far exceed the capabilities of a swamp cooler. Check back soon for How to maintain your swamp cooler, when to replace it, and what to replace it with, part 15. In the meantime, check out our page on refrigerated air conditioning.